Dr. Hugh Dell Gatewood is the oldest of four children born to Hugh M. and Dorris C. Barnett. She is a native of Houston Texas and a mother of two and Grandmother of 6. Church Memberships: Presently a member of Greater First Baptist Church (56 years), serving under the leadership of Dr. Rev. W. E. Gibbs for 42 years. Rev. R. L. Thompson, Sr. is now the Pastor. Formally a member (during youth and Young Adult) of Concord Baptist, Rev. E. R. Green for17 years, and was a member of Old Land Mark Association, Texas Baptist State Convention and NBC, USA, Inc. Now, Lincoln Southern, B. M. & E State Convention (56 Years). 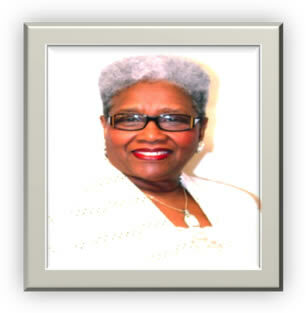 Former President of the Woman’s Auxiliary of the National Baptist Convention USA, Inc. Dr. Hugh Dell Gatewood began her official service in January 2005. She served in a distinguished fashion for 12 years with her tenure ending January 2017. Attended, participated and represented the Woman’s Auxiliary in the North American Baptist Women’s Union in Montego Bay, Jamaica (during my tenure (2001-2004) as Vice President of the Woman’s Auxiliary NBC. Followed by a trip to Nova Scotia to participate in the NABWU General Assembly. Across the Sea: Travel agenda included an Ecumenical Journey in April and May (2007) to Europe (Geneva, Switzerland, Germany, and guest of the Vatican in Rome); and Africa (Senegal, Johannesburg, Soweto, Cape Town and Kenya). August 2009 attended the Malawian Convention in Blantyre and was one of the Guest speakers for the Malawian Convention; attended Baptist World Alliance Congress in Honolulu, Hawaii, USA inclusive of the Women’s Leadership Conference (2010). Travel to Nassau, Bahamas to deliver the opening message of the Bahamian Women National Convention in 2011. Travel also includes several trips to Canada. Participated in the National Baptist Convention invitation to the White House in December 2011 to dialogue with President Obama’s representatives concerning issues that affect African Americans and others (voter suppression, the American Job Act and its benefits to the African American Community, Equitable Funding for Education, Disaster Equity, Healthcare, Veterans and Military Families and Effective collaboration on Efficiencies on the Foreign Mission Field). Speaker and Women Seminar presenter for the E. C. Morris Minister’s Institute (2010 – 2016; Delivered the 2013 Baccalaureate message for Arkansas Baptist College graduates. Teacher, Member of the League of Women Voters, Lecturer, Workshop Presenter, Speaker, and a volunteer for Compassionate Care Hospice. Recipient of many awards and recognitions.